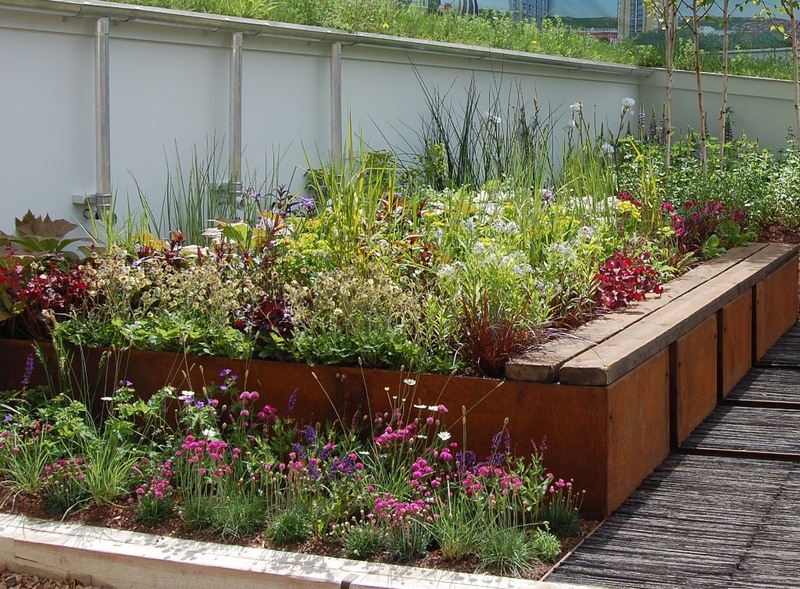 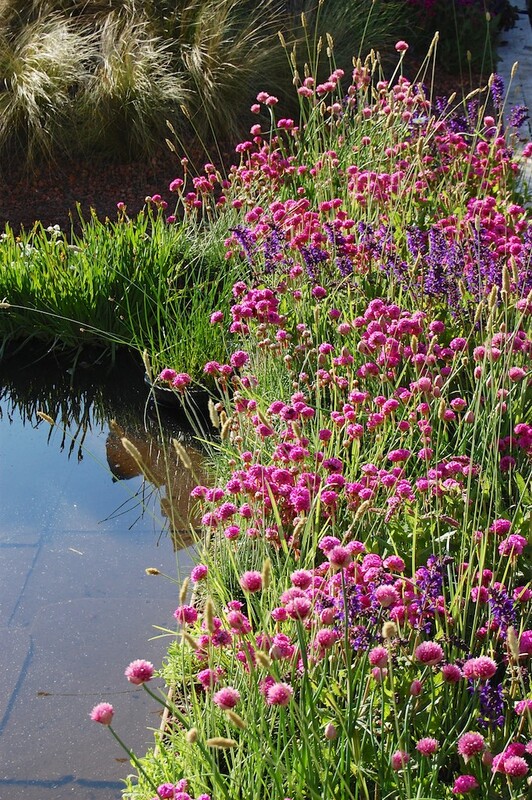 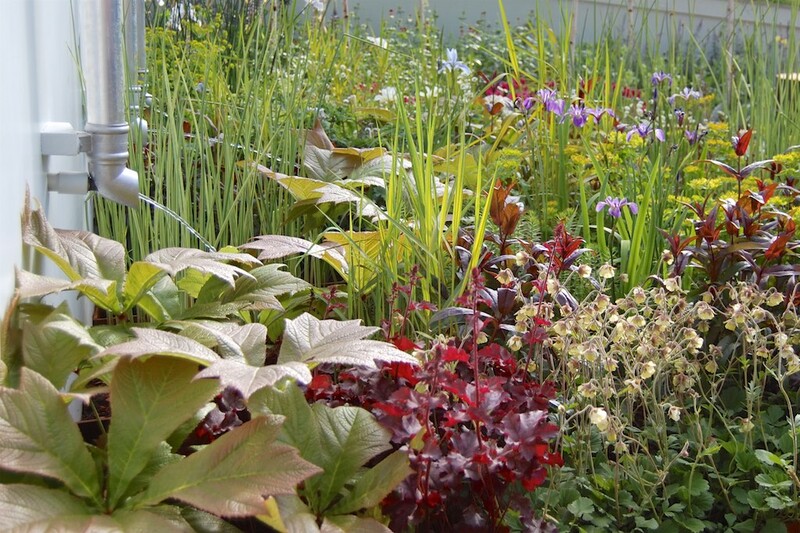 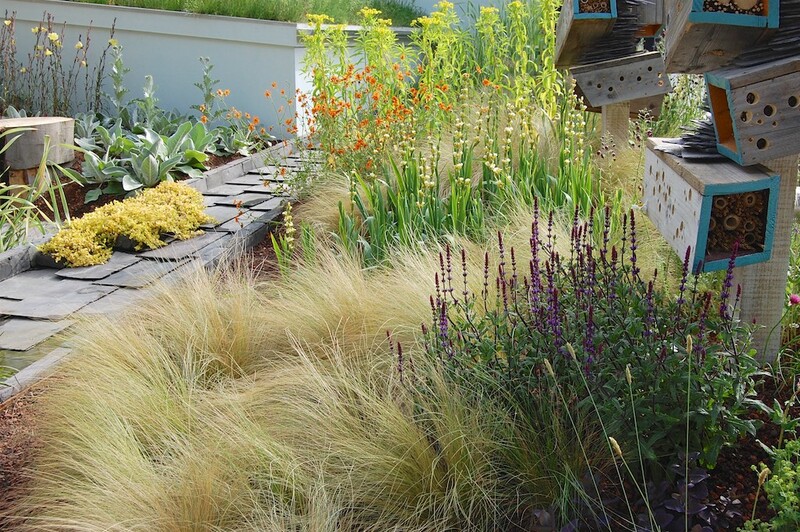 FUTURE NATURE was my first Chelsea garden, and I was part of a team with architect Adrian Hallam and landscape architect, Chris Arrowsmith. 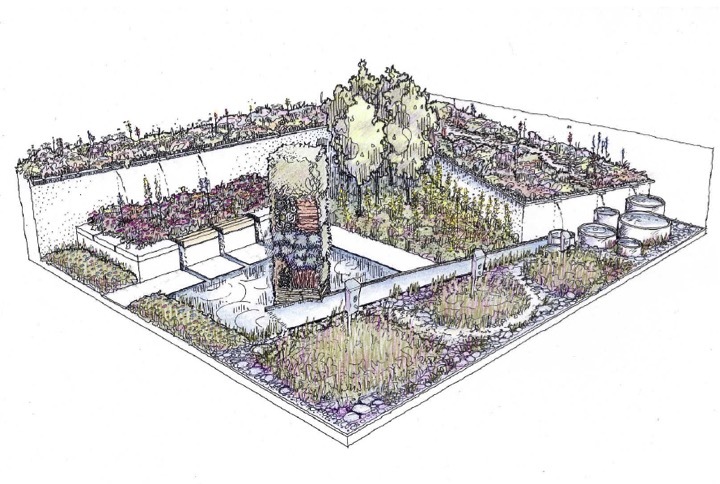 This garden contained most of the elements and themes that I would go on to explore on more detail and depth in future Chelsea gardens. 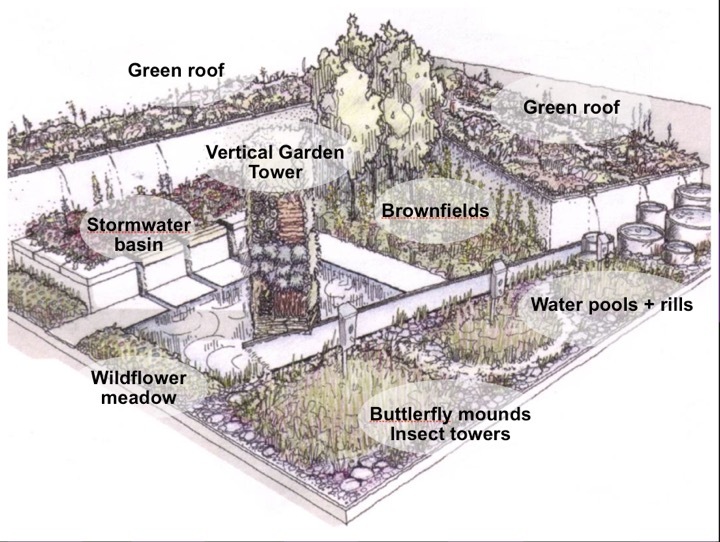 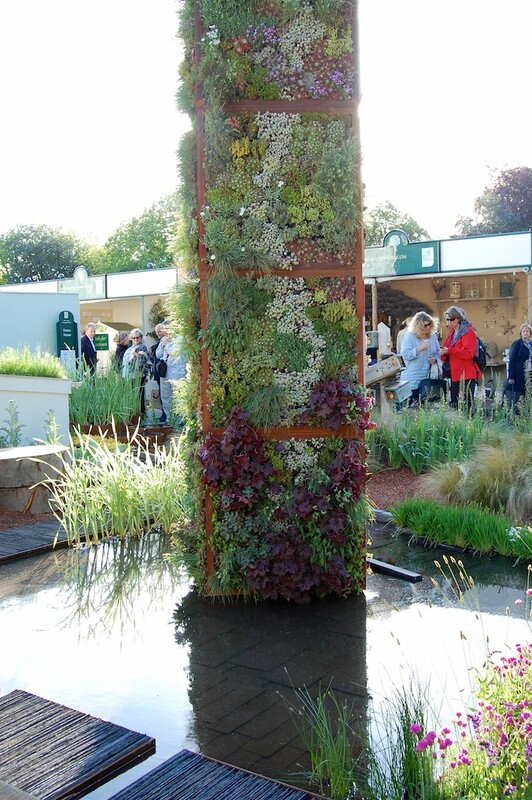 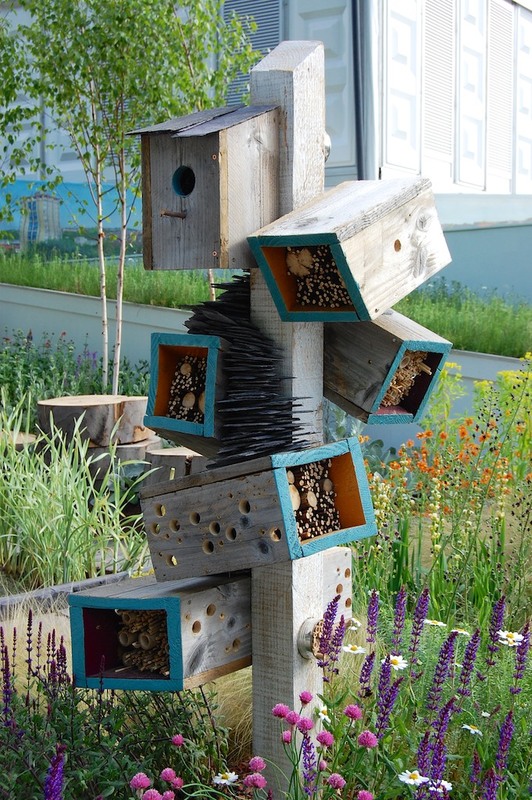 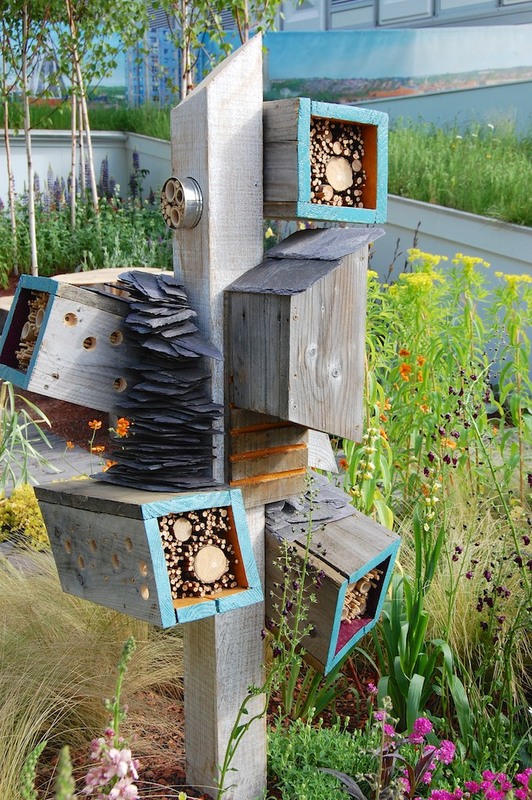 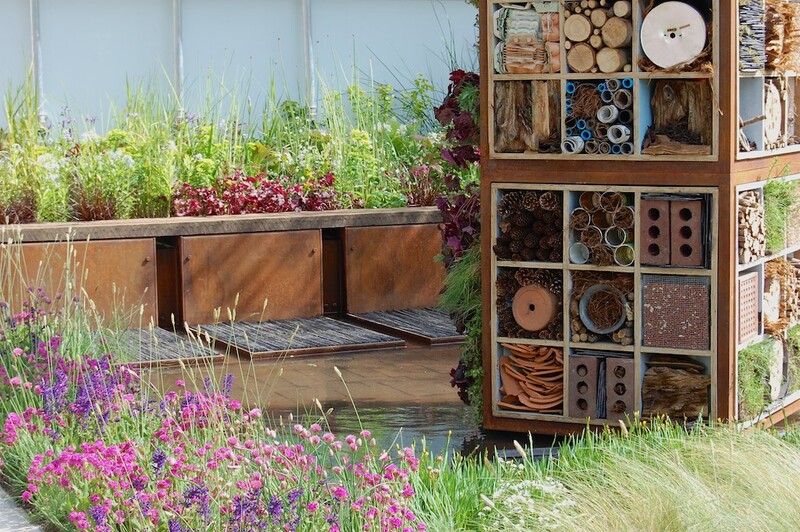 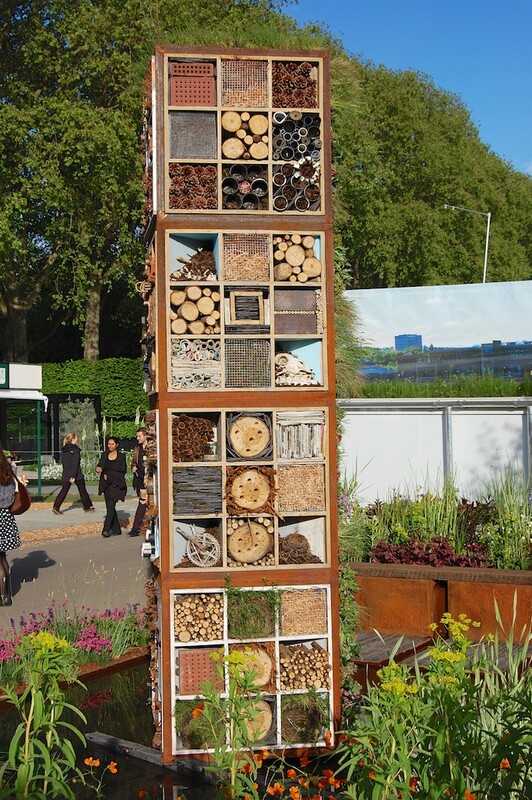 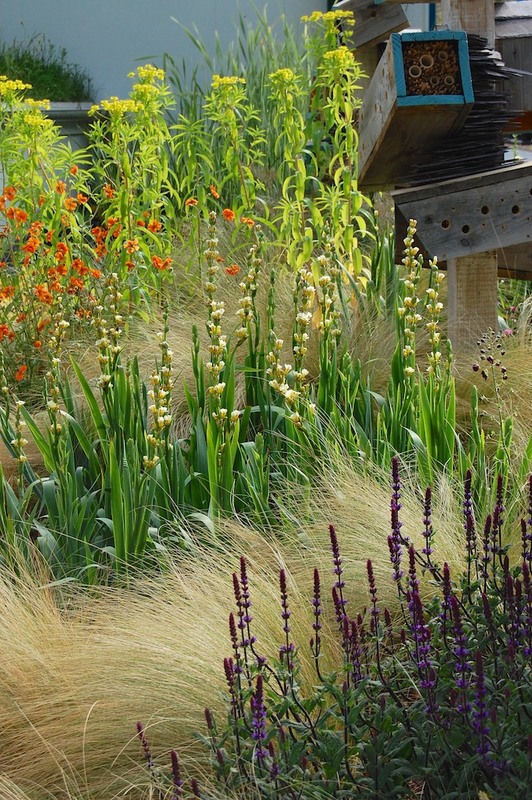 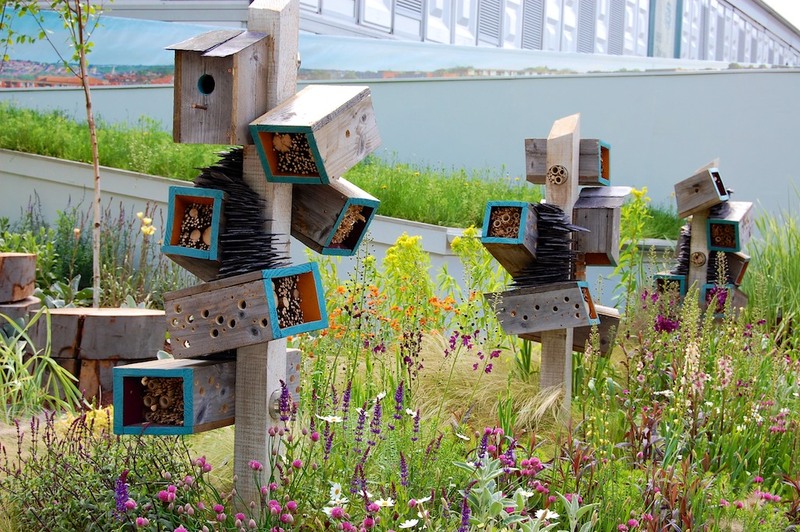 The garden revolved around a 4 metre tall habitat tower, filled on two sides with reclaimed and waste materials to form bug hotels and invertebrate homes, and on the other two sides with planted living walls. 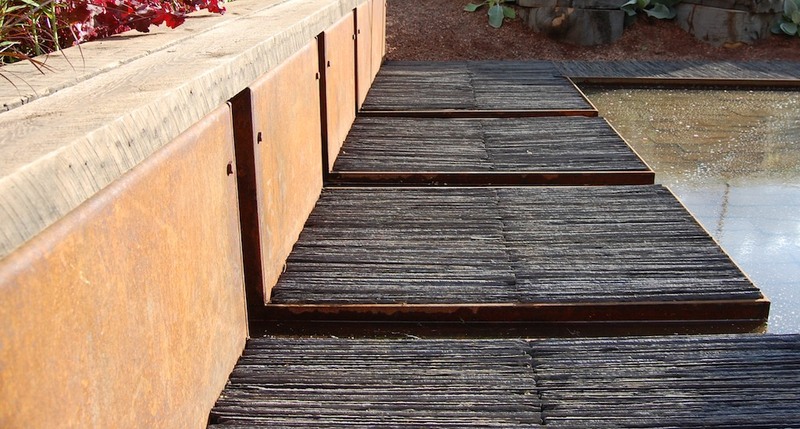 The path in the garden was made from roof slates (rescued from a skip in Sheffield) tightly packed on their sides, to make a surprisingly strong surface, which is also permeable.